Autumnal temperatures are coming for a visit and summer heat is taking its leave. But are hot and cold spots leaving you unsure of whether to wear a sweater or short sleeved t-shirt inside your house? Argent Heating & Cooling strives to make sure Northern Virginia and DC area homeowners comfortable in their own home by providing professional HVAC maintenance and repairs. If you ever feel a temperature swing or draft in your home, it may be because of issues related to air balancing. Air balancing is the modification of your current air conditioning and heating system to ensure that air is distributed evenly throughout your home. If you are experiencing random temperature swings and drafts in your home, then your HVAC system may not be effectively regulating around your house. But don’t worry in most cases, many homes have this issue and it can be easily adjusted. How Do Hot and Cold Spots Occur? In warmer seasons, have you ever felt hot in your bedroom even with the air conditioner running? Or in the winter time, have you ever felt like your room was freezing while the rest of the house was comfy and warm? These are both some of the examples of hot and cold spots and they can occur due to a variety of factors. Sometimes when we experience these hot and cold spots, it seems like our HVAC systems aren’t working properly, but isn’t quite the case. To make sure you are getting the most out of your HVAC system, here are eight tips to help you stay comfortable throughout each season and to avoid hot and cold spots. Open or close your air vents using the damper blades. This will help regulate how much air travels through. But don’t close your vents completely because this might cause other problems with your HVAC system. Adjust the temperature in small increments. Try to wait 24 hours to see what is more comfortable for you. Make vent adjustments as needed. The more electronics you have, the more heat is created. Try to keep heat-generating appliances away from your thermostat. During the hottest parts of the day, use or install window coverings to prevent heat. Don’t cover your registers with furniture or other materials. This will restrict air flow. Keep your air vents clean and replace filters. It not only improves air quality and cost-effective but it lengthens the lifespan of your HVAC system. Keep your ductwork updated. Over time, ductwork can wear down and break, which can lead to uneven distribution of air flow. 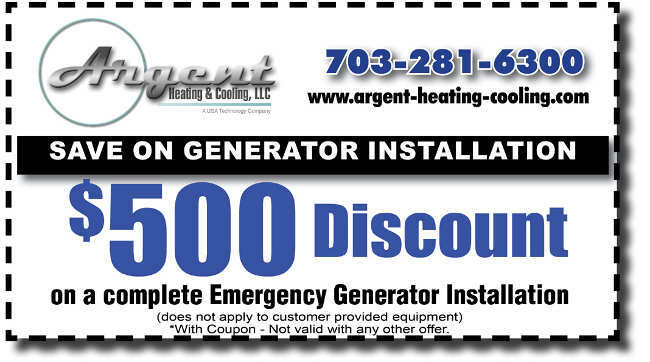 Speak with one of our Argent Heating & Cooling HVAC professionals today! In the Northern Virginia & DC area, Argent Heating & Cooling will provide you with quality HVAC maintenance information according to your needs. When balancing your air conditioning and heating systems, you are improving the overall air circulation throughout your home. You also increase energy efficiency and enhance the usage of your HVAC system. As a result, this will provide you with constant comfort throughout each season. With Argent Heating & Cooling, we can help educate you on the best practices to keep your HVAC system up to date and running efficiently! For more of your HVAC needs in the DC area, contact us today and don’t forget to view our current HVAC specials here!